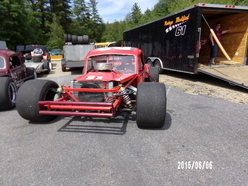 The sign says it all “Driven by Passion---Fueled by Fun Welcome to the High Banks of Monadnock Speedway”. 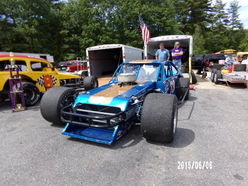 On June 6th Monadnock Speedway, Winchester, NH was the scene for the Senior Tour Auto Racers. 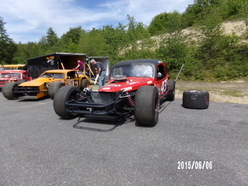 One by one Star rolled into the pit area of Monadnock Speedway with cars from all over New England. Star started their day with warm ups, and the evening would bring the tour 2 heats and 2 features. 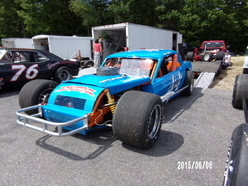 First to hit the asphalt for their heat race was the Sportsmen division. 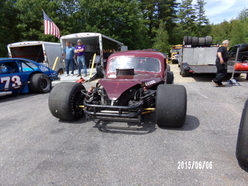 It was anyone win as the pack diced it up until the checked came down on Joe Keefner from Ma in his #99 Gremlin. 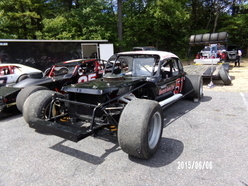 The Modifieds were lined up and ready to hit the asphalt next. 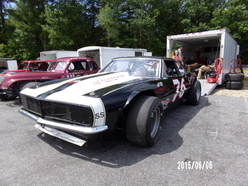 The pack ran tight lap after lap until Brian Robie broke loose and headed for the front. 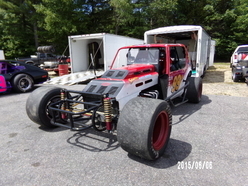 When the checked was waved it was on Brian Robie from NH in his #7 Pinto to take the second win for the tour that evening. 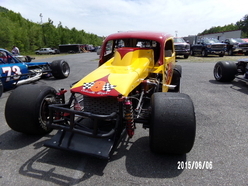 At feature time it was the Sportsmen to hit the track first for their feature race. 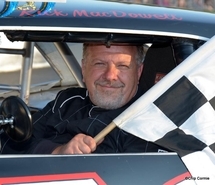 Rick MacDowell from Ma piloted his #76 sleek black Camaro to the finish line to take down the third checked for the tour that evening. 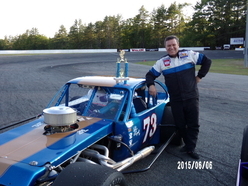 Skip Stearns from NH in his #7X coupe captured second with John Mulcahy from Ma in his #57 Mustang to round out the pack with a third. . All three were brought track side for an out of car interview and awarded with trophies. 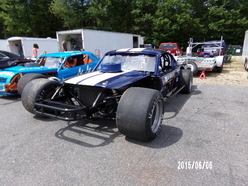 The Modifieds were lined up and ready to do some good old fashion racing! The pack ran tight with only inches away from each other. 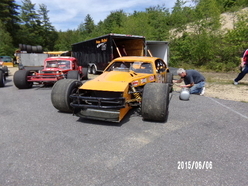 It was a photo finish between Mulligan and Donhue. 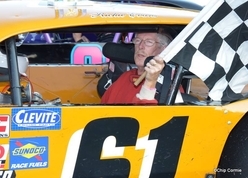 When the last flag was waved it was on Ed Mulligan from RI in his #61 Pinto to take the last flag for the evening. 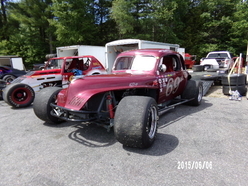 BobDonhue from NH in his #99 Pinto took a very close second. 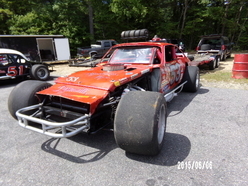 To round out the pack with a third was Scott Poirier from Ct in his #73 Pinto. 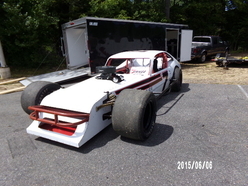 It was a Pinto Revolution for the modifieds. 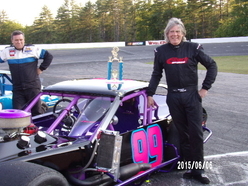 All three were brought track side for an out of car interview and awarded with trophies. What a weekend! 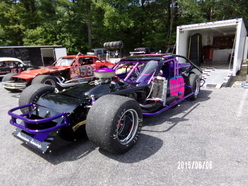 A great car count, great racing and all when home the way they came! SAFE AND SOUND!!! 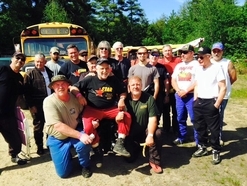 Senior Tour would like to thank Monadnock Speedway and their entire staff for all their hospitality and a great night of racing!